Forget brunch, forget flea markets, forget lie-ins; the best way to spend a Sunday is with a group of bloggers making flower crowns. 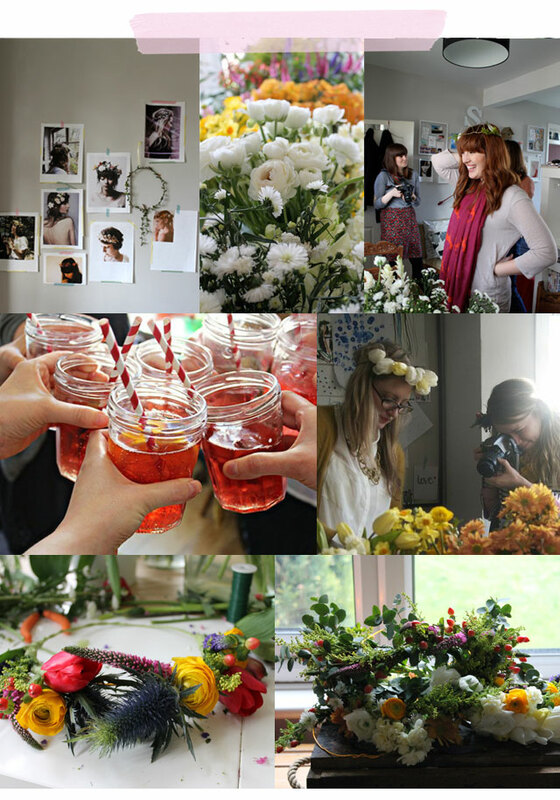 A few Sunday's ago a group of fellow bloggers and I spent a very happy day, playing with flowers, taking pictures and generally living the Pinterest/Blog dream. The very generous Anna let us into her beautiful home, which full of lovely things to photograph to begin with and then there were the flowers...The flowers had be generously donated to us by the Great British Florist , all their flowers are grown here on farms within the UK, this means you always the best seasonal blooms around. As a flower addict I seriously recommend them, and will definitely be purchasing a flower box when I next need some blooms to brighten things up. Anna did a fantastic job of organising us all, so I thought I would share some tips with you all on how to organise your own crafternoon. Want to see more? Have a look at these post from my fellow bloggers.. Thanks to Elena and Jo for you photos. Do it - its sooo much and not too expensive either. Hahahaha, look at me being a poser! Great advice too.